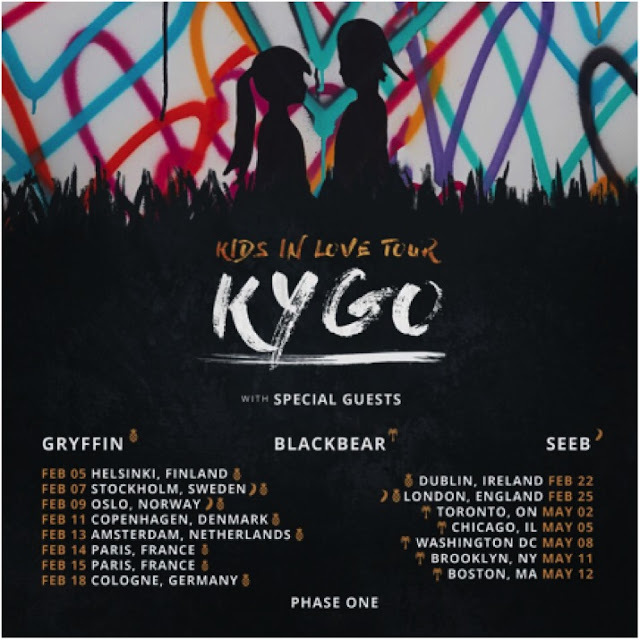 Norwegian superstar,  Kyrre Gørvell-Dahll, a.k.a Kygo, has just announced his Kids in Love Tour with Gryffin, Blackbear, and Seeb. The highly anticipated tour will kick off on February 5, 2018 in Helsinki in support of his sophomore album,  Kids in Love, set to come out on November 3rd via Sony Music Sweden/Ultra Music/RCA Records. Phase one of the tour will also make stops in Oslo, Paris, Toronto, New York, and more. The project, which will be available everywhere on November 3rd, features collaborations with One Republic, John Newman, and more. The tour announcement follows the release of two buzzing singles from the forthcoming album including title track Kids in Love and Never Let You Go.